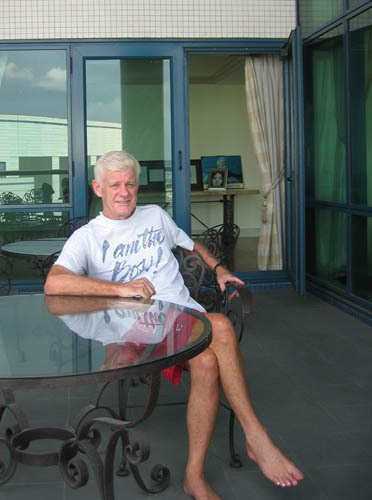 The late Alan Woods, died on January 26 2008 at age 62 in Hong Kong. At the time of his death, and still now, Woods is regarded as one of the biggest and best gamblers in the world. Woods was born in Murwillumbah, New South Wales, Australia, in 1945. His early gambling career, like his counterpart Bill Benter, was beating blackjack using math at his local casinos. In the mid 1980s Woods found his way to Hong Kong, were he and Bill Benter teamed up to form a gambling syndicate that would become the most successful the horse racing industry had ever seen. Using their mathematic skill, Benter and Woods developed a computer program, based on mathematics, to choose race winners based on formulaic consideration of track, form, weather and other factors. Benter and Woods parted ways in the 1987, both continuing to find success. A true mathematician, it has been said that Woods viewed racing was “nothing more than a mathematical equation to be solved”. It may be for this reason that Woods was renowned for the fact that, in his twenty years in betting in Hong Kong, he did not once personally attend the racetrack. In fact, after the split of Benter and Wood, Woods betting syndicate operated successfully in Hong Kong while Woods was in Manila. The annual turnover by Woods and his syndicate was estimated at about 2% of the Jockey Club’s annual betting turnover. While he never set up charitable organizations like his betting counterpart Benter, Woods was known to give generously to the Filipino community, also donating portions of his wealth to mental health research and Australian bridge. At the time of his death, professional gambler Woods was estimated to have amassed a fortune of AUD$670 million. "Gambler more than broke even"
An obituary to the late and great gambler Alan Woods. "THE world of horse racing lost one of it biggest punters with the death of Australian-born Alan Woods in Hong Kong last Saturday. Woods, 62, was universally recognised as among the top three punters in the world. His colleagues in the penthouse of betting turnover are his former business partner, American William Benter, and Zeljko Ranogajec, an Australian-based recluse whose turnover on sports gambling is said to outweigh the massive investments of the Woods-Benter organisations combined." "Playing percentages all the way to a billion"
"The Hundred and Fifty Million Dollar Man"
How Alan Woods has used computer technology to become one of the world's most successful gamblers. "Alan Woods and His Amazing Computer: A Nags-to-Riches Story"
A detailed history of Alan Woods professional gambling career, including his time as a professional card counter, and his introduction to horse racing, plus how he got his racing model to be so successful in the Hong Kong racing market..